Hulu has renewed their comedy series Shrill, starring Aidy Bryant, for a second season. The 8-episode season, up two episodes from season one, will hit the streamer in 2020. Lolly Adefope, Luka Jones, Ian Owens, John Cameron Mitchell, Patti Harrison, Julia Sweeney and Daniel Stern also star on the sitcom. Melissa McCarthy & Octavia Spencer: Superheroes! News out of Hollywood claim that Oscar Winner Octavia Spencer, and Oscar Nominee Melissa McCarthy are in talks to star as superheroes in Thunder Force for Netflix.The plot and many other details are not yet being shared, but Deadline reports that Ben Falcone has written the script and will direct. Lizzo has dropped a new song, featuring the one and only Missy Elliot, this morning. Check out Tempo below! From the album 'Cuz I Love You' out April 19. Aidy Bryant's new series, Shrill, is getting rave reviews! The six episode series, based on Lindy West's memoir of the same name, tells the story of Annie, an aspiring writer who is deals with fatphobia and fatshaming remarks on the daily. While many of us also deal with these micro-aggressions - and sometimes blatant abuses - Annie learns to love and value herself. This Is Us star Chrissy Metz will be guest starring on NBC's Superstore as an HR rep for the Cloud 9 store franchises. 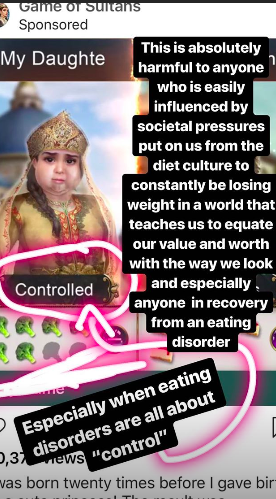 There have been plenty of progressive steps taken in the plus size world, especially with visibility on screen: Chrissy Metz makes us cry each week on This Is Us, Ashley Graham goes from runways to appearing as a judge on ANTM and Beauty Star, Danielle McDonald reintroduced us to Dolly Parton in Netflix's Dumpling, and Ashley Nell Tipton is even streaming sewing tips on Twitch. SNL's Aidy Bryant is starring in Hulu's Shrill and a trailer has been released. 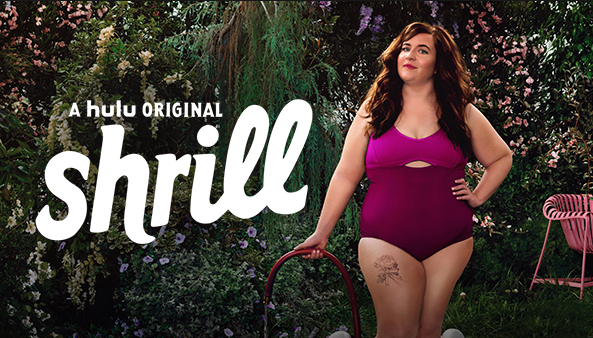 From Executive Producers Lorne Michaels and Elizabeth Banks comes Shrill, a comedy series starring Aidy Bryant (Saturday Night Live) as Annie, a fat young woman who wants to change her life — but not her body. Annie is trying to start her career while juggling bad boyfriends, a sick parent, and a perfectionist boss. Chel's Music Video for Self-Love Anthem: "My Name"
According to The Wrap, singer/songwriter Demi Lovato "Demi Lovato ripped Instagram on Friday, calling out the photo-sharing app on her own account for posting a “harmful” and “fat-shaming” video game advertisement." The Wrap claims the ad was immediately taken down and received the following statement from an Instagram spokesperson: “We’re sorry. This ad was approved by mistake. We reviewed it again and removed it from future delivery in people’s feeds." Known for the Pitch Perfect trilogy, Rebel Wilson is set to star in a delightfully meta rom-com, Isn't It Romantic, alongside Liam Hemsworth and Adam DeVine.